Manufacturers of coatings, degassers, foundry chemical, fluxes etc. Pentex 2691 is a cold curing Nitrogen free liquid, Phenol Formaldehyde Resin. It can be used for making moulds and cores for light metals, like Al/Mg Alloys. It has a good breakdown, low emission of fumes. Pentex 2691 is also used for heavy metal like steel and cast irons. This material is suitable for use in continuous mixers. Fluxes are used for treatment of molten aluminum. The fluxes contain a range of injection fluxes and tablet flux for purifying molten aluminum, dross flux , covering flux, demagging flux for removing unnecessary maganium, flux for cleaning furnace. Nitrogen free furan resin with minimum 70% Furfural Alcohol Content. Kaltharz 70 p is a cold curing resin with free formaldehyde content and has very high productivity. It can be used for making moulds & cores for steel & gray iron castings. Most suitable for use in continuous mixers. Kaltharz U 265 is a clear, thin urea-furan binder remarkable for its especially low odour level during processing for cores and moulds for gray cast iron, ductile iron, and non - ferrous light and heavy metals. 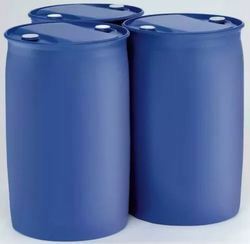 Furan formaldehyde resin contains very high FA content (85% min). Kaltharz U 185 is a cold curing resin with minimum Nitrogen and has very high productivity. It can be used for making moulds & cores for steel & gray iron castings. Most suitable for use in continuous mixers. Hardner 6040 is a curing agent for the hotbox thermoset process. The low acidity of the catalyst insures a long bench life for the mixture, with rapid curing in the hot core box or in the drying oven. Sinotherm 5022 GS is an alkaline phenolic resole resin which can be hardened by using a warm acidic gas. It has a very low odour level and it gives the sand mix an improved sand flowability. Excellent collapsible properties are achieved after pouring. This is an ester of acidic acid of acidic acid & is used as activator for Sinotherm 5022 Resin can be supplied in different grades for slow curing, medium & fast curing as per requirement. Zirkofluid RM 94I is a coating material based on zirconium. Alcohol is used as carrier liquid. The newly- designed binder and suspension system gives this coating material best application properties. A high zirconium ensures a dense layer and thus an excellent protection against penetrations and mould metal reactions. It also maintains a good adhesive and abrasive resistance. Zirkofluid 3256 is a light Green alcohol based zirconium ceramic coating for steel, iron and heavy section non-ferrous castings. It has good suspension properties and is ready for use at 62-66 ° baume. It has excellent peel off from the castings due to exceptional resistance to metal penetration. Koalid RM 94I is a ready to use coating based on graphite and magnesium silicates. Alcohol is used as a carrier liquid. A new suspension and binder system gives the product good manufacturing properties as well as good suspension stability. Owing to its basic materials it is able to prevent the formation of finings and scabs. The penetration tendency of cast iron melts is reduced as well. A clean and smooth surface finish can be achieved. Koalid Paste 94I is a coating based on graphite and magnesium silicates in paste form. Alcohol is used as a carrier liquid. A new suspension and binder system gives the product good manufacturing properties as well as good suspension stability. Owing to its basic materials it is able to prevent the formation of finings and scabs. The penetration tendency of cast iron melts is reduced as well. A clean and smooth surface finish can be achieved. Tailored made products are the hallmark of Gargi’s unmatched service to the industry. A range of highly exothermic powder materials for Riser toping and sleeve making suitable for ferrous and non ferrous, castings, various grades available depending on Risers dimensions and the metal poured. They also include thermit type compounds for Riser topping for Ingot Mould Base plate patching work..
An enormous range of different shapes with varying dimensions comprising of high exotherm, moderate exotherm and insulating properties suitable for every job and all metals. they give an excellent feeding efficiency and virtually no fusion at the contact surfaces, special shapes can be tailored o request. A range of covering fluxes for all Aluminum & Zinc alloys including sodium free varieties. Suitable for all types of melting practices. They refine the metal reduce Oxidation losses minimize metal inclusion in drosses modify hypoeutectic Aluminium silicon alloys and recover metal from drosses and scrap. A range of die-coates for quick and easy strip of die-castings with superior finish, suitable for Aluminium, Zinc and Copper based alloys, available in Water base and Oil base qualities, meant for Gravity and Pressure Die-casting. Also available are lubricants with semi colloidal graphite suitable for high temperatuer and extreme Pressures. Applications encountered in semi continuous casting of Aluminium and plunger mechanisms. A variety of tabletted degassing agents to eliminate porosity due to gases promote modification and some grain refinement. Suitable for virgin Aluminium and its alloys.